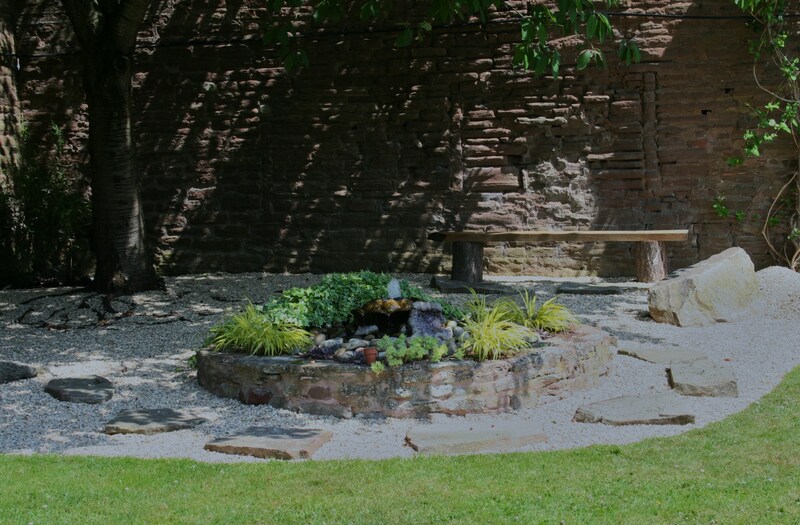 The new stone garden is coming along very nicely and proving a wonderful shady spot for sitting now that summer appears to have finally hit (we write that with some trepidation, but our group of masseurs and masseuses this weekend have enjoyed glorious hot weather). 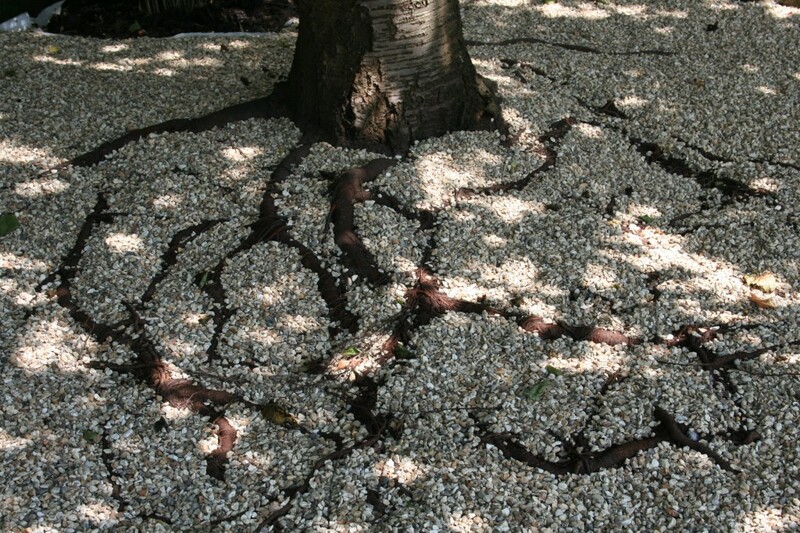 The gravel has been raked around the exposed roots of the cherry tree which look rather lovely in the dappled shade. We hope you enjoy trying out this new area of the garden next time you visit.